Spoof of the classic murder mystery stories – including a spooky mansion, butler, group of guests and a ‘one of us is a murderer’ storyline. 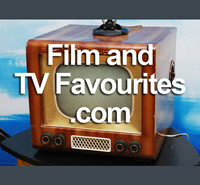 The ‘guests’ are also parodies with Peter Falk playing Sam Diamond a cross between Bogart’s Sam Spade and Columbo, David Niven playing The Thin Man, a very non-pc Peter Sellers playing Charlie Chan (Wang in the movie), and Miss Marbles and Milo Perrier being very influenced by Agatha Christies Marples and Poirot. 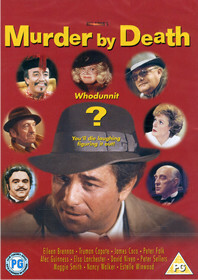 Murder By Death (1976) 91 mins approx.